On Tuesday 2 February, three members of the St Conleth’s CC Young Social Innovators project team, Alive But Not Living, travelled to Dublin to pitch our idea at the YSI Den. The project was one of only a handful selected from all of the YSI projects nationwide to attend. 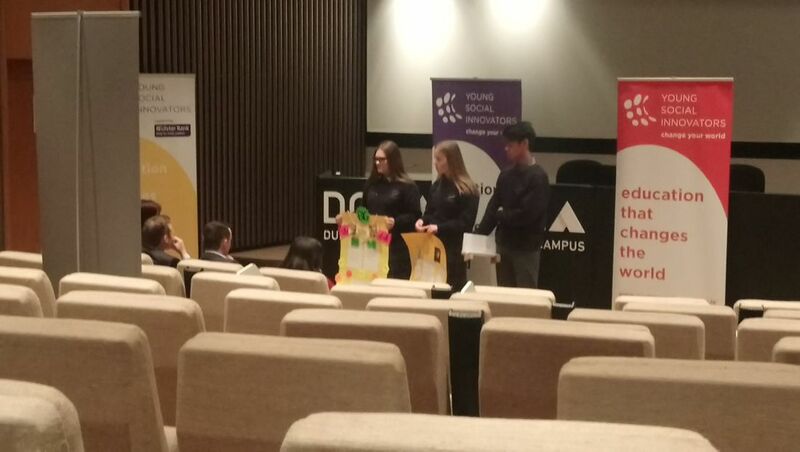 Ernesto Gayahan, Caoimhe Gately and Maeve Garner represented the team at the event which took place at the DCU Alpha Building in Glasnevin. Our idea involved modifying park benches in order to provide shelter from the elements for homeless people who sleep rough. The judges were very interested in our idea and we were awarded some funding to investigate and develop our idea further. 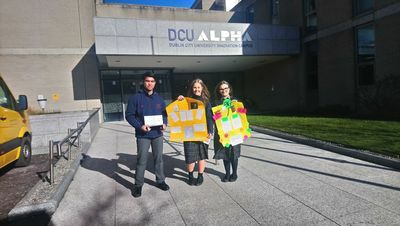 ​Impractical Smokers, a group of Transition Year students in St Conleth's Community College, have developed an app to help people to give up smoking. Their app called 'Don't Regret Another Cigarette' is available to download for free from the Google Play Store. 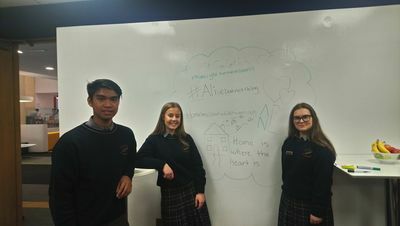 As part of our new transition year programme in St. Conleth’s Community College, our aim is to promote general, technical, social and academic skills amongst young blossoming teenagers. 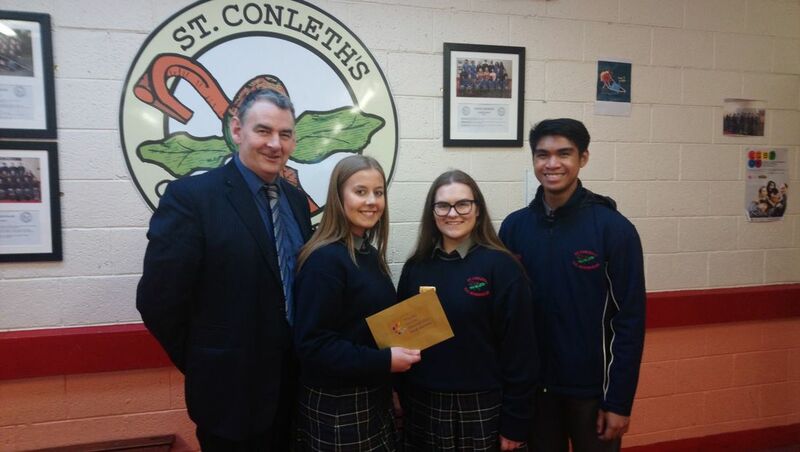 For the first year ever, St. Conleth’s CC took part in a social development project known as “YSI”. YSI stands for Young Social Innovators. YSI is about encouraging young people to re-imagine the world and empowering them to bring their vision to life. 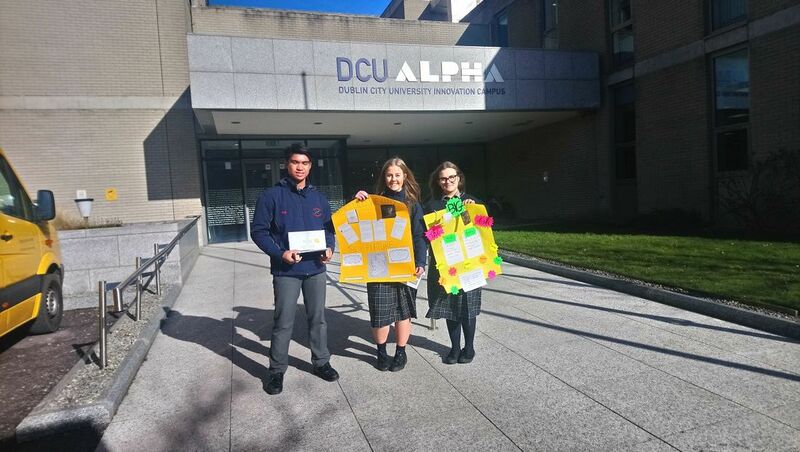 ​Our transition year class was split into two teams: the first team focusing on the social issue of smoking and the second team focusing on the social issue of homelessness. 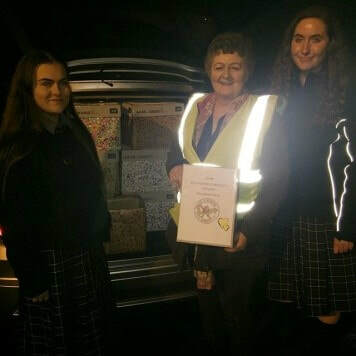 As part of the homeless team known as “Alive but not living” our aim is to spread knowledge about the devastating effects of the homeless crisis in Ireland and our local area of Newbridge. One of our most recent projects included making up care packages for the local homeless. Money was raised on a Christmas jumper day to create these packages. 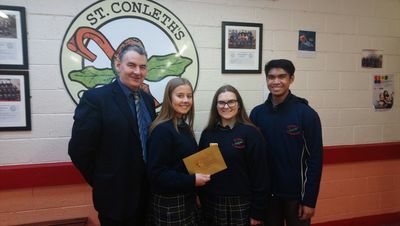 On behalf of the homeless team we would like to thank all students and staff who contributed money towards our project. After receiving the money, we bought the essential items needed to make these packages. These items included: hats, scarves, gloves, socks, sanitary wipes, energy drinks, food items and a flask. We then packaged and wrapped these care packages, and on Friday the 19th of January I and one other team member delivered these care packages to the local homeless dining room on a frosty, bitter night. After observing many of these homeless people collecting meals, it truly saddened me at the thought of living in such a vulnerable position. On behalf of our team “Alive but not living” I would like to thank everyone who participated in our project, and I hope we can do more beneficial projects in the future. 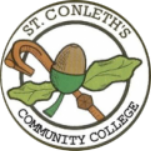 St. Conleth’s Community College provides a positive learning environment which encourages and enables our students to achieve their academic potential while fostering their personal development.